Time, time, ALL THE TIME!!! 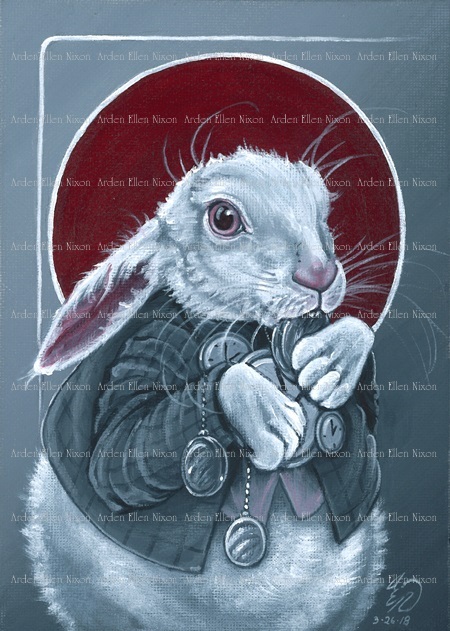 This is the second of the new illustrations/face cards for my "Alice in Wonderland" card deck. My White Rabbit ended up a little Taft-esque this go around, but I love him all the more for it!